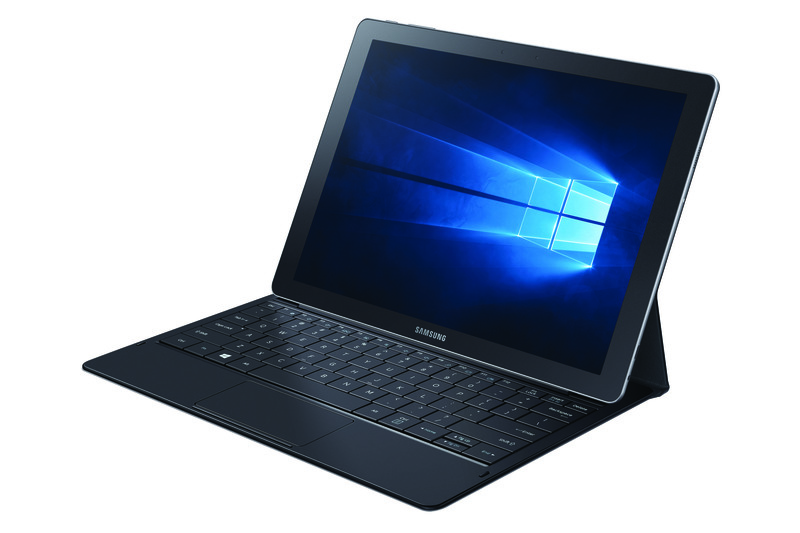 The latest two-in-one device from Samsung Electronics Canada, the Galaxy TabPro S may look like a consumer product but it’s built for the business user. Samsung Canada already has a large base of enterprise users and the company found that this group is highly mobile and require their devices to be extremely productive. The design team at Samsung made the Galaxy TabPro S to be a lightweight tablet in support of mobile workers such as field sales, customer agents and those executives who travel extensively for work. Market research firm IDC has found that mobile labour will account for roughly 75 per cent of Canadian labour by 2018, totalling more than 14 million people. “With so many Canadians working away from the office, it’s important for enterprise users to have access to devices like the Galaxy TabPro S so that they can be productive, no matter where they’re working from,” said Mary Peterson, VP of IT & Enterprise Solutions at Samsung Electronics Canada. Key to the Galaxy TabPro S is its two-in-one design as Samsung developed the unit to work with business people’s work day as well as for personal time. “We have seen increasing demand for two-in-one devices, and that’s why we continue to expand our offerings in this area, most recently by adding Windows 10 Pro OS to our Galaxy family with the TabPro S. Canadians need their tablets to possess the necessary power and speed to handle heavy workloads, but they also love the convenience of having a full size keyboard and 12” Super AMOLED display that makes it easier to get things done and be productive anywhere,” Peterson said. Part of Samsung’s overall strategy is to meet the differing needs and requirements of all customers. The company recognizes it needs to adapt to the times and have produces a variety of products to serve a diverse set of lifestyles. The Galaxy TabPro S fits inside that product strategy and is targeted at Canadian business users who want the unprecedented functionality of a Windows 10 Pro device without compromising design.